FlaneryCPA.com | How Long Should I Retain Records? 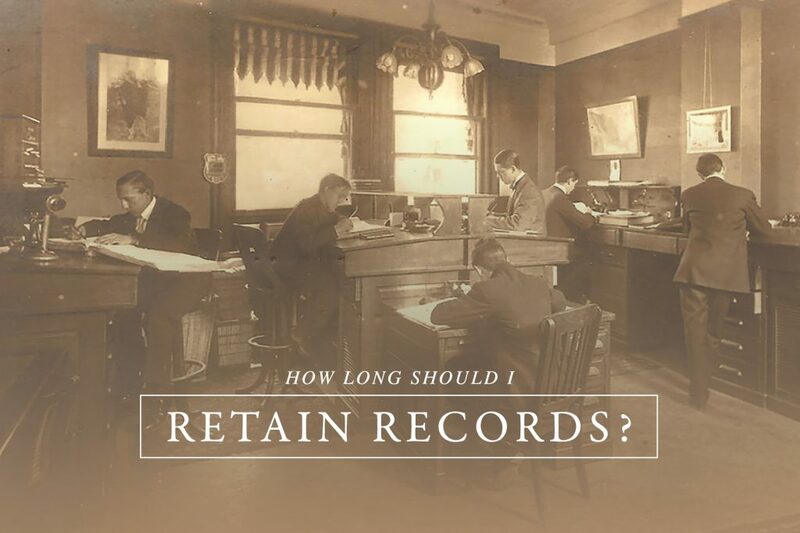 Home Taxes How Long Should I Retain Records? Probably the most common question we get is some variation of “How long should I keep my tax records?” As is true of the answer to any really interesting tax question, the answer here is “It depends”. In this blog post, we’ll tackle the answers to all the categories of records we can think of. The conventional wisdom is that you should keep all federal and state income tax returns plus the supporting documents for a minimum of 3 years after the filing date. Here’s why we think that is wrong – the IRS can generally only start an audit on a return within 3 years of the filing date; however, they have up until 6 years after the filing date to audit and assess taxes if they can show that a significant amount of income was unreported or omitted from the return as it was filed. So, our suggestion is to keep tax returns and supporting documents for at least 6 years after the filing date of the return. One of us, we’re not saying who but his name begins with “Rob”, advocates keeping the tax returns forever. This is at least partly an attempt to normalize his own obsessive-compulsive issues (he has every tax return that he has ever filed in several boxes in a storage locker), and partly due to real tax reasons why you might need those returns. Have you been making contributions to a nondeductible IRA in the past? When you start withdrawing those funds at age 70 ½ or earlier, did you know that you’re required to keep records to prove out your tax basis in the account so that you can accurately calculate the amount of those withdrawals that isn’t subject to tax? Your tax return for the year you make a contribution shows the amount contributed on Form 8606. Alternatively, you could keep the annual statements for each year from financial institution holding the account. Some of us might do both. Ever been a party to a like-kind exchange of property? The tax return for the year of the exchange will show a calculation of the correct tax basis in the new property. The last example I’ll call “The Curious Case of the Missing Partnership Basis”. Years ago, a client of mine was audited by the California Franchise Tax Board. One of the items on his return for the year of the audit was a loss from a real estate partnership he co-owned with a couple of business associates. One of the first things the FTB asked for was proof that the client had tax basis to claim the loss in the year under audit, saying he wouldn’t accept the tax basis shown on the partnership return in the current year as proof. Without the proof, he said he’d disallow the current year loss and go back and disallow the losses in the open years as well. In addition, any cash distributions from the partnership would be treated as taxable income rather than a return of capital. The partnership had been in existence more than 20 years. The client had been a client for more than 10 years, so I had all of those returns in my files, and I asked the client for the returns for the previous years. He found all but one, from year 3 or 4 of the partnership’s existence. The basis from the year before tracked reasonably with the year following the gap, so I showed that to the auditor, who said he wouldn’t accept it. We argued, I talked to the auditor’s group manager who agreed with the auditor. I asked the client if he had any idea where the missing return might have been. He thought about it over a few days and remembered that when he and his wife had moved years before, they had a gap between when they sold one house and bought the next one. He’d temporarily stored a bunch of personal files at his adult son’s house. He and the son checked the crawl space, located a single box of records that had been inadvertently left behind and found the missing tax return. The information from the missing year slotted nicely into the gap, exactly as I’d told the agent. However, without the missing return, the agent would have disallowed the losses. Another good reason to keep at least 6 years of income tax returns and supporting data is that all of this is a good road map for someone to follow just in case someone else needs to step in and settle your affairs. Keep all of the final settlement letters related to federal or state income tax examinations or audits for at least 6 years after the close of the audit for all the same reasons explained above. If you’ve made gifts where federal gift tax returns were required, these should be saved forever. Well, not forever, but forever for you – they will be needed to properly complete your estate tax return when, you know, you’ve shuffled off this mortal coil. If you think that this isn’t an issue for you because the current estate tax limitations are so high, consider three things: a) in many cases, state estate tax thresholds are often much lower than federal limits (this will be the subject of a future blog post), b) irrespective of your political leanings, there’s probably not much chance that current estate tax rules stay the same for any length of time, maybe just a few hundred Scaramuccis, c) gift tax returns might be needed for probate, Medicaid applications, or to establish basis for your gift recipients who haven’t followed the advice here and didn’t establish basis records of your gift when receiving the gift. Documentation regarding the receipt of property by gift or inheritance should be kept until 6 years after the tax returns for the year of the disposition of the property have been filed. Basis in a gift is usually the same as what the tax basis of the property was in the hands of the person making the gift. The time of the gift is the best time to inquire as to what this amount is and document the answer. 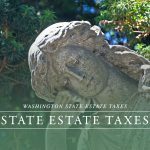 The tax basis of property received via inheritance is the fair market value at the date of death of the decedent – again, the time of receipt is the best time to establish what value is being used for estate tax and/or probate purposes. Information regarding property received via gift or inheritance may also be needed during divorce or property settlement proceedings. If your return has been filed for you electronically, you should keep the documents related to the filing for the 6-year period recommended above. Similarly with the US Post Office return receipt documents you should have used when filing paper returns. Brokerage firms have been keeping records of your tax basis for a few years now, so it’s unusual to not have that information provided by the broker when you sell the stock. However, to the extent you have stock holdings that pre-date those records, you should keep whatever records you have of the original purchase plus records of stock acquired through Dividend Reinvestment Plans (often called “DRIPs”) for as long as you own the security plus 6 years. If you ever change brokerage firms and transfer your investments via a direct transfer of the securities, you should get information from the old broker before you change firms – in our experience, sometimes the recordkeeping of the basis gets forgotten during the transfer. 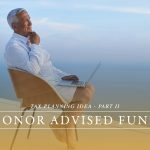 One tax tip if you’ve got marketable securities where, for whatever reason, the basis is unknown, you might consider using those securities to satisfy charitable contributions since you’ll only need to report the fair market value at the time of the contribution and not your tax basis. Current tax rules provide that gain on the sale of a primary residence can be excluded up to a certain amount. At the time of sale, the taxpayer will need sufficient records to establish the basis in the property sold to calculate how much of the gain can be excluded. Records supporting this should be kept until 6 years after the return is filed for the year of sale of the property. Similar recordkeeping rules should be followed for records related to the basis (purchase price and capitalized improvements) for second homes, rental property, and real property used in a business. These should be retained for as long as you have a financial interest in the entity or arrangement plus 6 years from the date that last return was filed. A copy of the policy document should be kept for at least a year after the cancellation or surrender of a policy or until a year after a claim is settled, whichever is later. Purchase Records for Jewelry, Art, Collectibles, Etc. Records should be kept for as long as you own the property. If you’ve disposed of the property via a charitable contribution, you should keep records regarding the acquisition and the value of the property at the date of disposition for 6 years after the tax return is filed containing the charitable deduction. Veterans should retain Form DD214 – Certificate of Release or Discharge from Active Duty for life – while not used in tax filings, the DD214 is needed when applying for Social Security or Veterans Benefits. Birth certificates, marriage licenses, divorce agreements, prenuptial agreements, legal documents regarding name changes, adoption records, proof of satisfaction of legal judgments or settlements, etc. should be kept permanently.